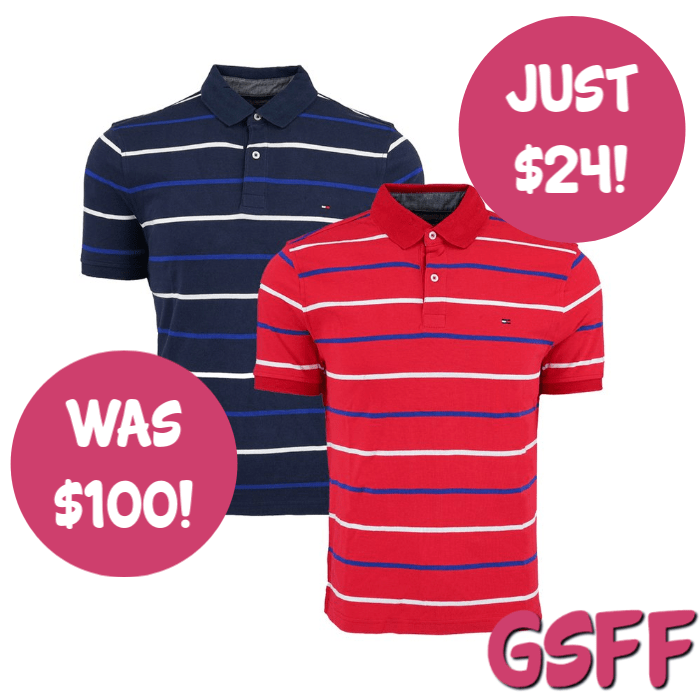 Tommy Hilfiger 2-Pack Men’s Striped Polo Just $24! Down From $100! FREE Shipping! You are here: Home / Great Deals / Tommy Hilfiger 2-Pack Men’s Striped Polo Just $24! Down From $100! FREE Shipping! Head over to Proozy and get this Tommy Hilfiger 2-Pack Men’s Striped Polo for just $23.99, down from $99.98, PLUS FREE shipping! Refine your sporty casual look with the streamlined fit and classic striped polo from Tommy Hilfiger. Choose from the color combos to mix and match a cool bundle! Mix and match by choosing the color combos that you want.